Today turned out to be errand day for me. It wasn't supposed to take up my whole day but it did for the most part. In an attempt to stop my brain from turning to mush I have decided to go back to school. For now it is just one summer class to see how this goes since it is a completely different area than what I got my bachelors in. I had to go to the school to pay for the class and get some books. I tried to register for another class later in the summer but needed a transcript, which I don't keep in my wallet and needed to go get from the college I graduated from. All of which meant driving 15 minutes back to another school, asking for a transcript-I was the only person I saw in the whole school- and being told that they couldn't do it today, but I could pick it up Thursday. Apparently it takes 2 days to punch in a SS # and it CTRL P. I managed to convince them to let me pick it up tomorrow. I got my books... I am not kidding when I say the textbook weighs at least 8-10 pounds, and the workbook isn't flimsy. 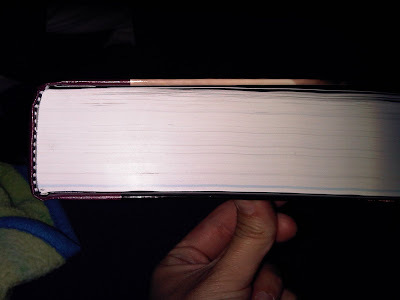 Textbook has 1,000+ pages and if I'm supposed to know this book in 4 weeks, I may never leave my room. If the blogging is a little slow on my end in June, I apologize up front and at least you will know why. Anyway, to get back on track (and fast forward 3 hours worth of errands and shopping) I had a hell of a day at the post office. I went to mail out some cards I had promised people and got the yellow card in my mailbox indicating there was more that didn't fit. Yes! That is the best thing that can happen at the post office. Yes, there is a white envelope in there but that is an eBay item that I paid $1 shipping so I am not going to complain about that one. 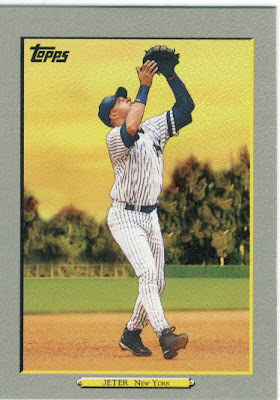 The reason for the blog title is that the first piece I am going to feature in all this mail is from "the Drizz" over at Totally Cecil, the Cecil Fielder blog. He is new to the blog scene and is just starting out. If he is trying to make a friend in this blogosphere, he now has one here. 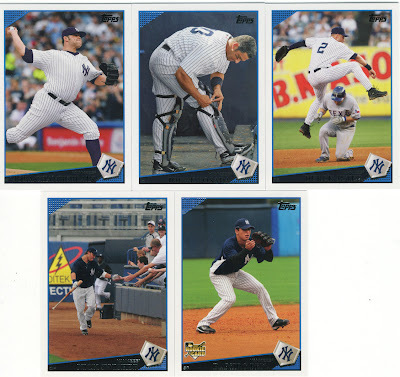 Dave had e-mailed me telling me he got 2009 Topps Series 2 packs earlier than the release and was going to send me some Yankees he got if I wanted them. I thought that was very nice and gladly accepted. 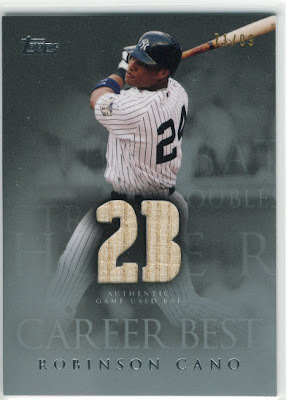 I later saw that he pulled a Cano GU bat card and politely asked what might it take to snag that, or if he could hold onto it for me. He said I'll send it to you because it would just take up space... HOORAY!! Fun for me. If you get a chance, stop by his blog and look around. Make a new friend too since he's a nice guy. 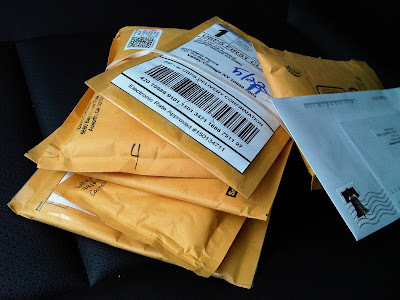 I have some other mail as well as some eBay auctions that I got today which I will post later tonight or tomorrow. Glad you like the cards Marie and thank-you for the warm welcome to the card blog-o-sphere. Agreed--Drizz is top-notch. He has been known in Tigers card circles for quite some time and his new blog is a lot of fun. On an unrelated note, what have you decided to study?